The playground equipment contracted for installation. 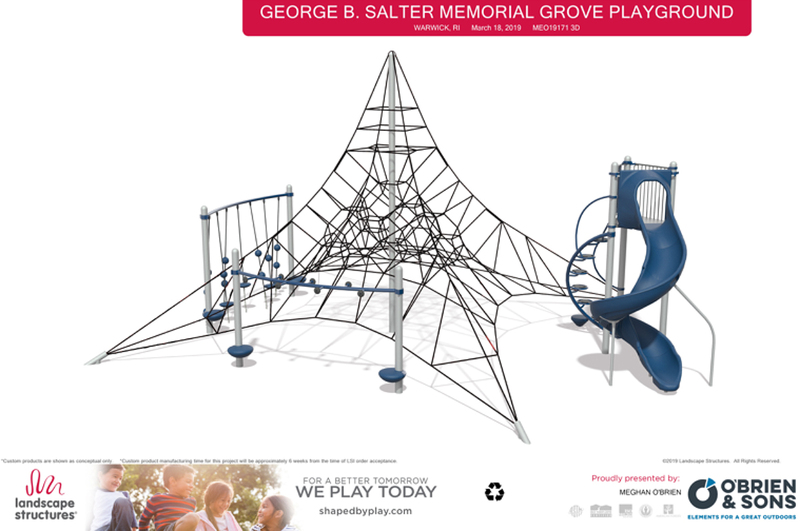 At its meeting on March 18, 2019, the City Council’s Finance Committee approved awarding the contract for playground renovations at Salter Grove to Green Acres Landscape & Construction Co., Inc. This was the recommendation by the City’s Special Projects Coordinator Lucas Murray. 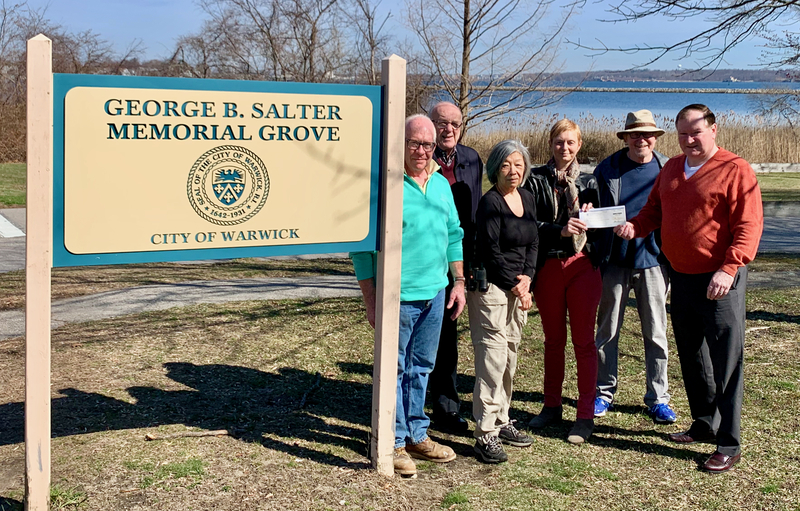 This project will be funded primarily by a $100,000 RIDEM Recreation Development Grant, with a $1,739 overage for the lowest bid being made up by the City of Warwick. The City will also provide an estimated $25,000 in kind with site preparation and installation of selected elements by the Department of Public Works. Due to funding constraints, two of the playground pieces and the site amenities originally planned will not be included in this contract. FoSG will submit grant applications to cover these unfunded items plus safety fencing for the main parking lot and the new handicapped parking area. We look forward to construction starting in the spring!